The Kerdova Print website offers all you home decor enthusiasts the chance to customise Zuzana’s wallcoverings online – first selecting the pattern of your choice before selecting upto 5 seperate colours to use on the paper. A unique feature that we’ve been having fun playing with in the office all morning. Featured twice in Homes & Interiors Scotland magazine, as well as You magazine supplement and The World Of Interiors magazine, Zuzana and the Kerdova collections have officially caught our attention. 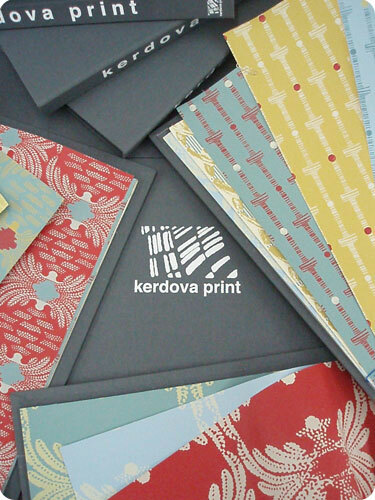 Visit Kerdova Print to view (and customise) the wide range of beautiful patterns offered.